ungt blod: drum roll please! 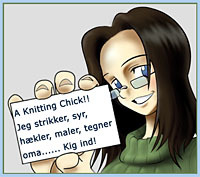 Ooo, det har været spændende at følge med i! Godt at hovedpinen tilsyneladende er gået væk! glad you're feeling better, migraines are pure evil! lucky famapa! such a nice thing to do. WAAAH!! :D GRATTIS FAMAPA! Such a nice price and such a great winner! HURRAY! And good to hear your head is a little nicer to you today. Grattis Famapa!! That's a great gift, wow:D I love the colour of the bow, and of course that cd cover too! So good that you feel better today! happy blog birthday! and that bow! so cute! Hurray fo Famapa! The winner takes it all!